Make your dreams come true! Recently upgraded! New roof! Prime I-2 mixed use commercial building in great condition! Huge front lobby with display windows, private office/technology room, large backroom, 2 bathrooms, 3 stalls & 1 shower. Property includes attractive sideyard that can be used for outdoor events play area or gardens. Potential uses include but not limited to dance/martial arts, daycare, retail, office/professional services, insurance, 3rd party MVD, office, doctor/dentist, daycare, food bank, E-shopping, electronics, hobby or clothing shop, automotive supplies - even manufacturing operations! 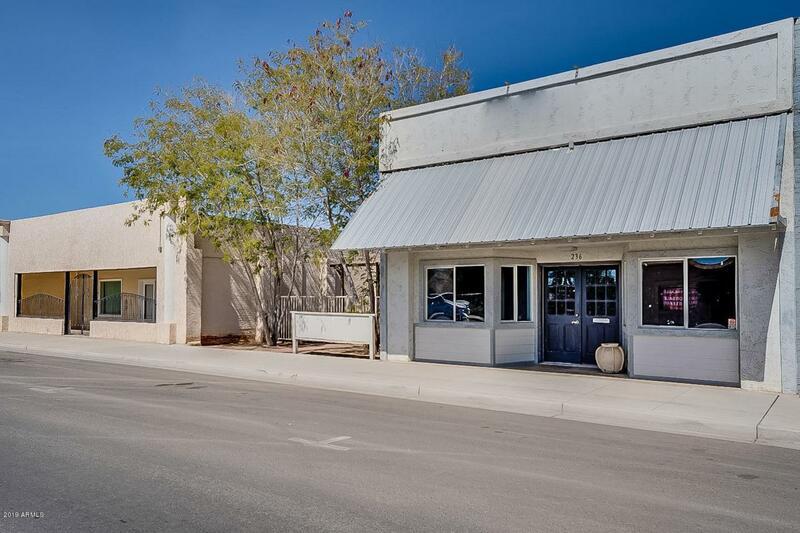 Attractive, renovated area offers increased traffic to new business in Coolidge which services numerous surrounding cities - great potential for your vision to become reality! Cross Street Arizona Blvd. & Coolidge Ave.